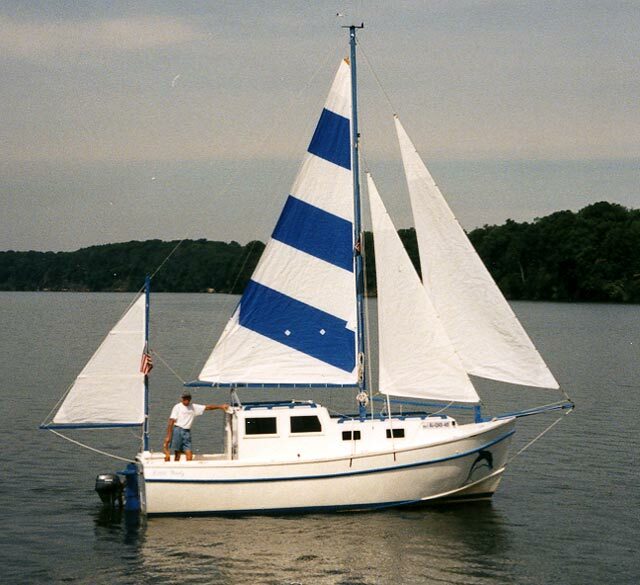 Tom Hardison spent 7-+ years building this 24' yawl, LITTLE WOODY. The hull is from a modified Glen-L plan. He added a bowsprit, keel, and made the hull thicker, using two layers of 1/4" laminated plywood. Everything other than the hull was of the builder's design. 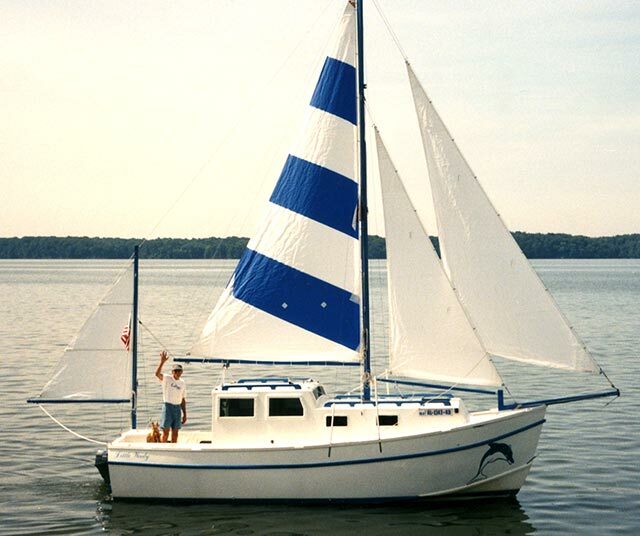 Tom uses LITTLE WOODY in Tuscaloosa, AL and plans to cruise the inland waterways and gulf coast of Florida, Alabama, Louisiana, and Mississippi.